We’ve got a healthy serving of new innovations on GroupGets and a new partnership with SparkFun Electronics juuust might have something to do with it. If AI, remote sensing, asset tracking, and having a direct pathway to selling a passion project on SparkFun are your jam, this newsletter is for you. Cloud based video analytics are all the rage now but what if your application doesn’t have the luxury of a fat pipe to the cloud or even a stable indoor operating environment? 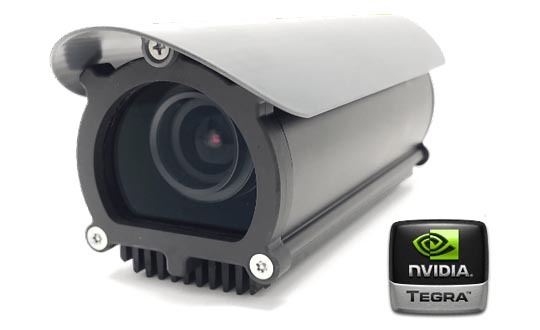 That’s where BoulderAI comes in with their exciting new Deep Neural Network Camera (DNNCam). A fan-less beauty rated for outdoor environments that’s packing serious local computation, we’re very intrigued by this camera destined for great outdoor adventures. Don’t take our word for it, watch their video. Get the 100-quantity price at single quantities and don’t cut your fingers with this bleeding edge hotness. Indoor location tracking has many practical (and potentially fun) applications but in practice it’s usually pretty unreliable - just sayin’. 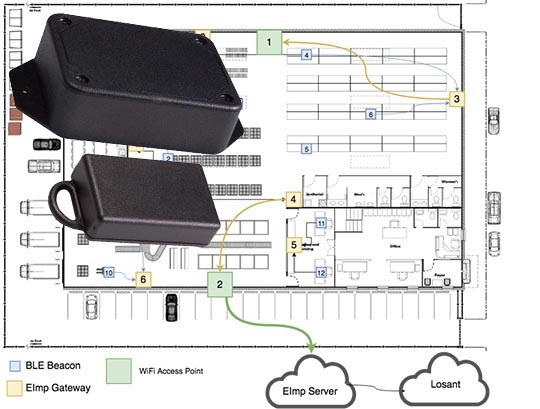 Breadware has teamed up with Electric Imp and Losant to help you change that perception with a BLE and Wi-Fi Real Time Location Tracking System (RTLS) development kit. This kit is intended for enterprise grade apps with security, reliability, and a UI capability so users can elegantly see where all of their assets are without command line Kung Fu. Michael Welling of QWERTY Embedded is back at it again with a community led effort to bring open source Mezzanine accessory boards for the 96Boards CE catalog to life. 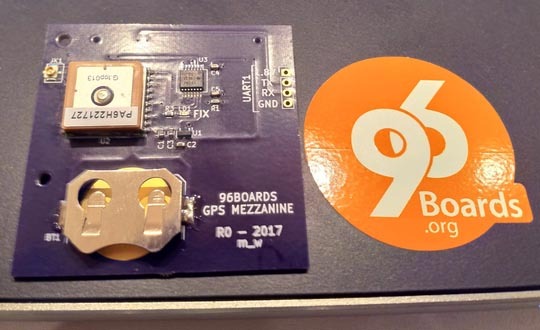 The GPS Mezzanine is the "first born" board out of this collaboration and we're honored to have it on GroupGets and. 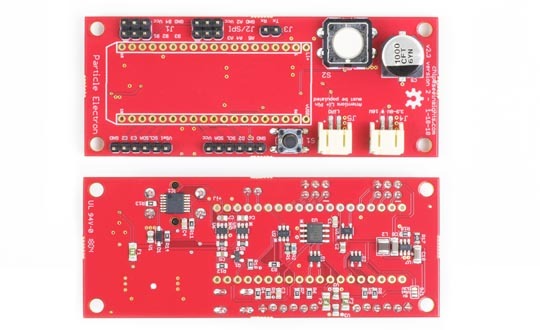 It was designed to add a more open and sensitive GPS capability to the Dragonboard 410c. Hopefully this is just the beginning! The Particle Electron Carrier Board is a robust open source addition to an already rocking cellular IoT modem and community. 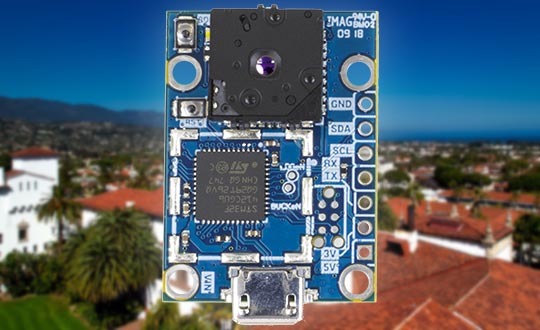 Designed by Chip McClelland to help you take your particle outdoors and properly handle real-world events like over temp, over voltage, and ESD, this board with a noble cause to help local and national parks count users is catching the attention of IoT developers like SimpleSense who is building a product line on top of it. We’ve leveraged our parts buying power to get the cost down at 50 units and we'll drop the price more if more backers get on board! Compact and low-cost consumer tracking solutions have been battling in the market for years now. Bluetooth has been the primary technology powering these devices due to its ubiquity on handsets but its limited range has always been a drawback. 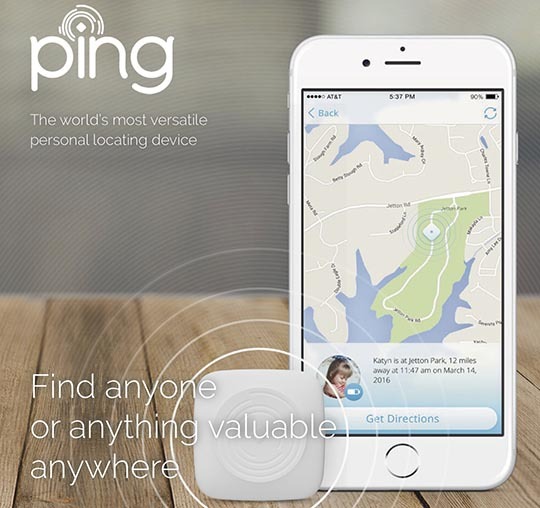 Ping has gone full bore and put an actual GPS chip and cellular connectivity inside of its tracker for an extremely robust solution at a reasonable price. Since one of our cofounders helped develop Ping, we’ve got it at a further limited edition discount while supplies last. Congrats to the five finalists recently selected for the FLIR Lepton Maker Challenge. They will each receive our latest PureThermal 2 and the latest radiometric FLIR Lepton 3.5 to battle for a free trip to FLIR’s HQ in Santa Barbara to demo their project. We’re also throwing in a $500 gift card to our store. What do most of the great new campaigns above have in common? They have applied for our new GetSparked collaboration with SparkFun Electronics to have SparkFun be the next distribution step after a successful GroupGet campaign. The program is simple to enter and gives pro-makers, entrepreneurs, and garage hackers an integrated pathway to selling their passion projects on a larger scale. When starting a new GroupGet campaign for your existing product or working beta, simply hit the GetSparked button in our campaign form. Once your campaign is approved, we’ll put it on SparkFun’s radar and we’ll both work towards making your campaign and product a success.